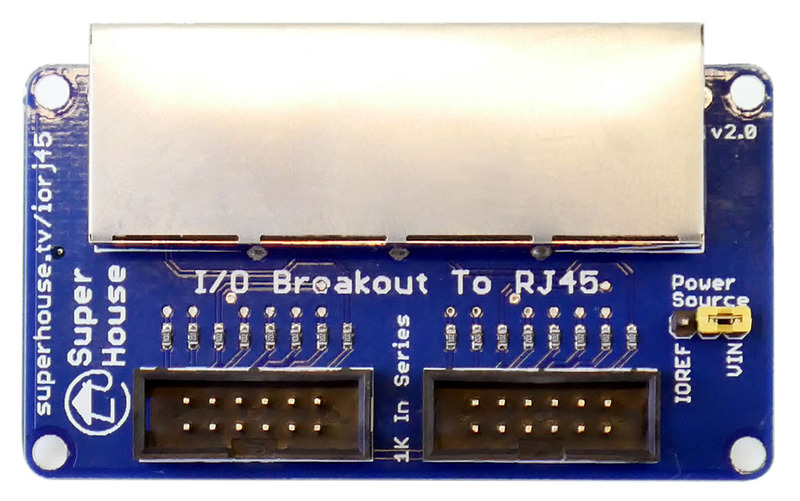 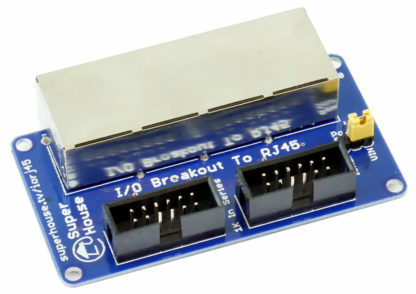 Break out I/O pins to RJ45 sockets. 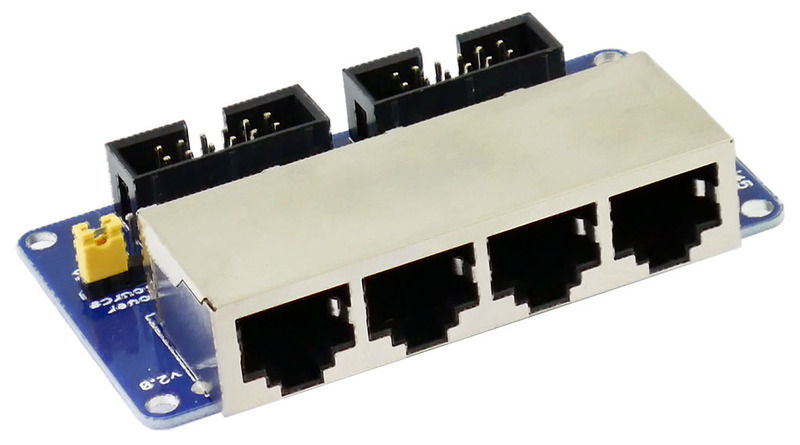 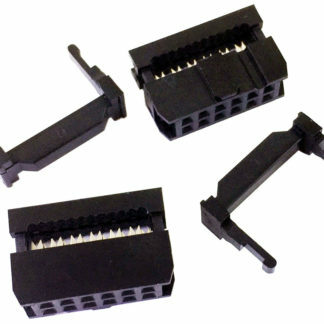 Each RJ45 socket provides connections or 4 data lines, 2 GND lines, and 2 power lines. 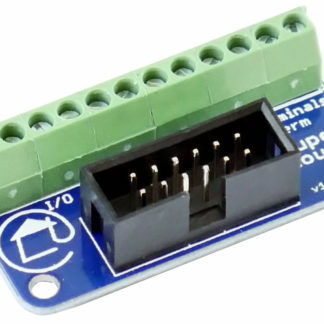 The power connection can be linked to either IOREF or VIN using a jumper. 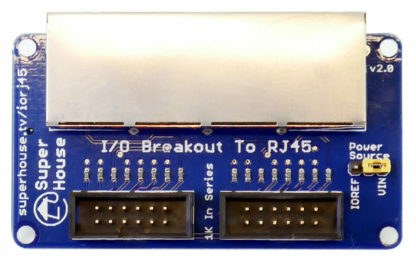 Each data line has a 1k resistor in series to provide current limiting to the I/O pins. 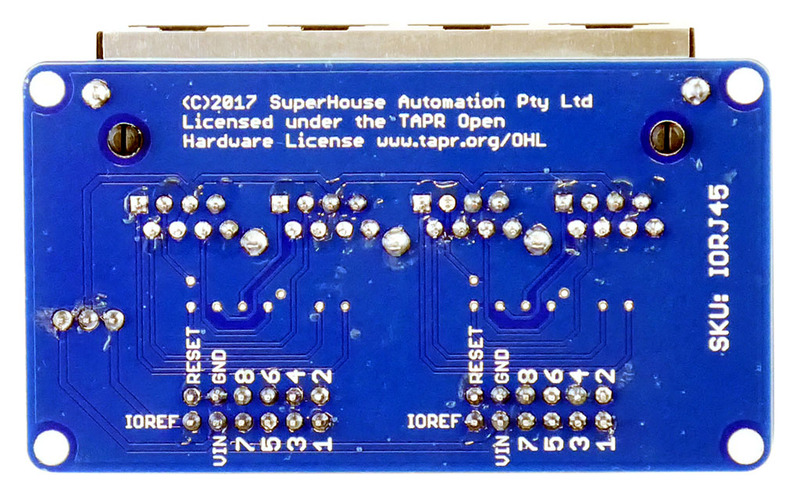 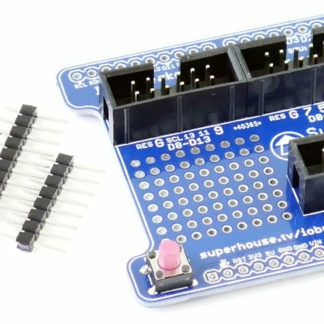 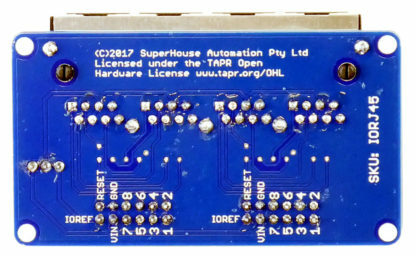 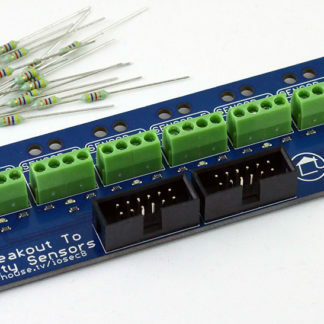 Pretty happy with this stuff… What would make these awesome is Optocouplers onboard. 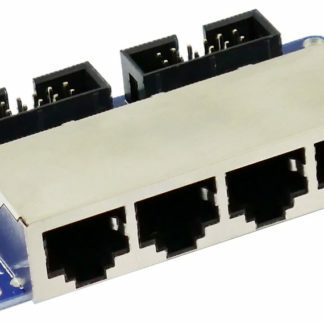 PC817-4’s would be awesome. This would give seperation and filter out unwated noise.